Download Samplitude Music Studio for free! 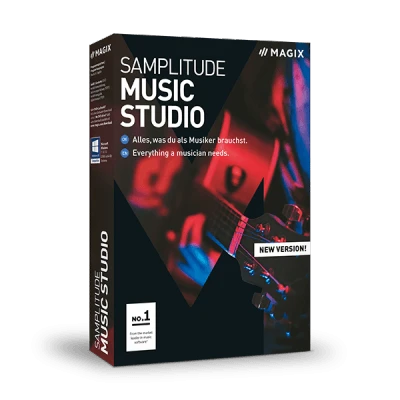 The complete home studio from MAGIX on your own PC – test Samplitude Music Studio now for free. Editing, mixing or mastering – there are no limits. Customize the interface to suit your style and create beats and bass lines using a MIDI controller. Use the wide range of effects and instruments – Test Samplitude Music Studio for free and become a producer in no time at all. Record your own songs! The recording area allows you to arrange large projects easily. The perfect mixdown – add the finishing touches to your songs. Equalizers, compressors and limiters can be easily applied in the Mastering area.